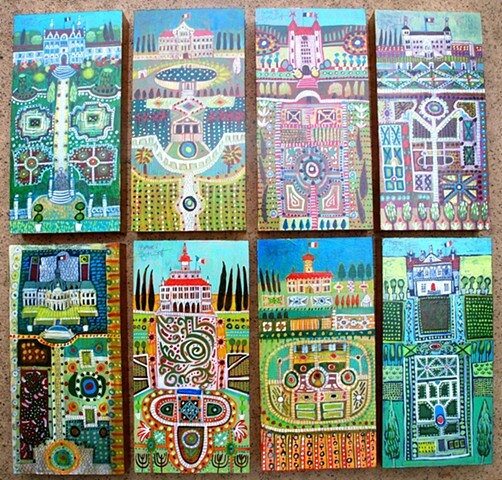 A collection of eight little European formal gardens. Available for individual purchase or as a collection. These sweet little parterre style gardens are painted on deep cradled panel and finished with distressed gold metal leaf sides and ready to hang.